When Josie Brunswick has to move to Europe so her dad can head up a new secret world genetics lab, she doesn't think life could get any worse. Then her beloved musician mother dies, and she's left to all but raise herself. Music becomes her reason to live, until an accident in her dad's lab gives her something unbelievable to focus on, something that will send her on a mad and dangerous adventure through Vienna and through time. 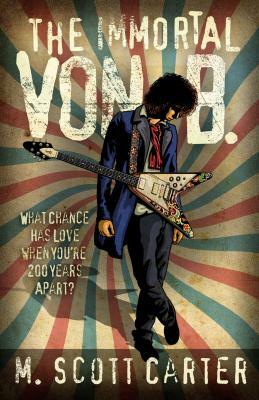 Before it's all over THE IMMORTAL VON B. will have answered the question: Could a teen-age girl from this century find love with a young composer from another?